Reserve your next tee time with our convenient booking system! Register to recieve special offers and golf promotions on a regular basis! Your guests are sure to make some memories with an event at HeatherRidge. 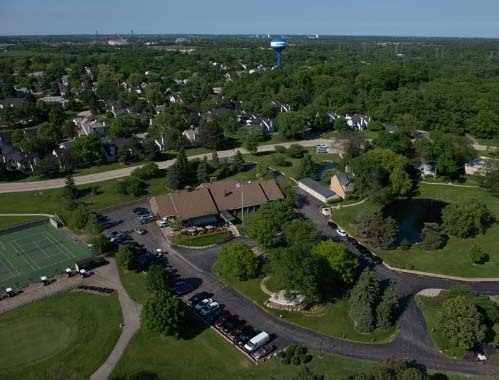 Opened in 1975, HeatherRidge Golf Course is a beautiful and challenging full length nine hole layout that is enjoyable for players of all skill levels. Adding to its beauty are the flowing creeks and ponds that come into play on seven of the nine holes. Managed and impeccably maintained by GolfVisions, HeatherRidge has been selected as one of the finest nine hole facilities in Illinois. With our affordable rates, we'll leave you plenty of money to enjoy our unique outside Cabana Bar and Grill. Great food, cold drinks, outstanding atmosphere and friendly staff will complete your HeatherRidge golfing experience.